The Drop Out is a new podcast documenting the rollercoaster rise and fall of Holmes who today finds herself embroiled in scandal and awaiting trial. 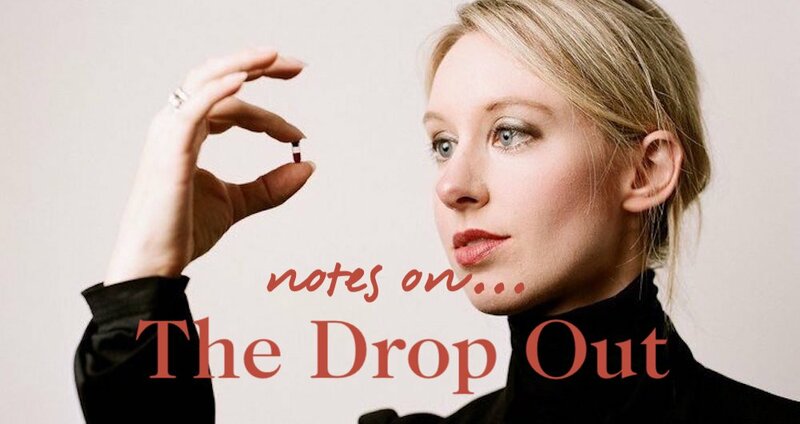 Theranos was borne from Holmes' idea to run hundreds of tests on a single drop of blood, a feat that would revolutionise healthcare, if it were possible. The series follows the unravelling of the Silicon Valley start-up and uncovers the scale of untruths told in order to dupe rich and powerful investors and media. When someone talks and dresses like a genius, people will themselves to believe her, even when all the proof suggests they shouldn't. The couldn't-make-it-upism of the Theranos fall from grace makes it ripe for dramatizing on the big screen, and Director Adam McKay is set to do just that, with Jennifer Lawrence pencilled in to play the main part. Consider listening to The Drop Out the compulsory homework you will not want to finish.